Somebody had a sense of humour, inserting a XSS joke in email headers. To prove it's real, Robin posted a screenshot. 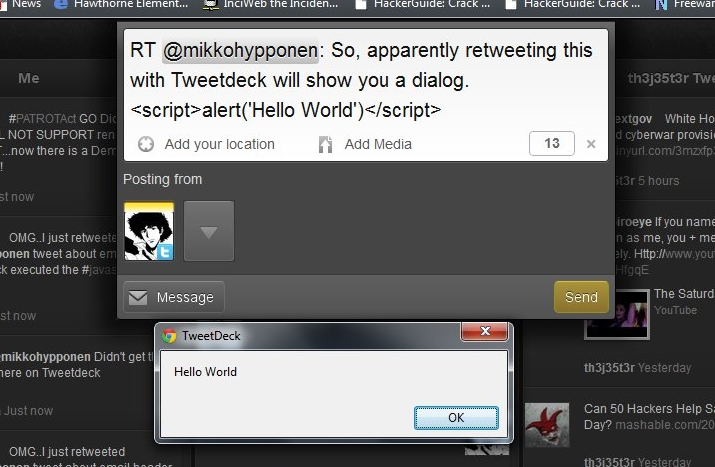 The client he was using was Tweetdeck for Chrome. Time to inform the developers. And of course, they are on Twitter as well. The security community working as it should. Collaboration, speed, effectiveness, no fussing around, quick response. Good to see it. 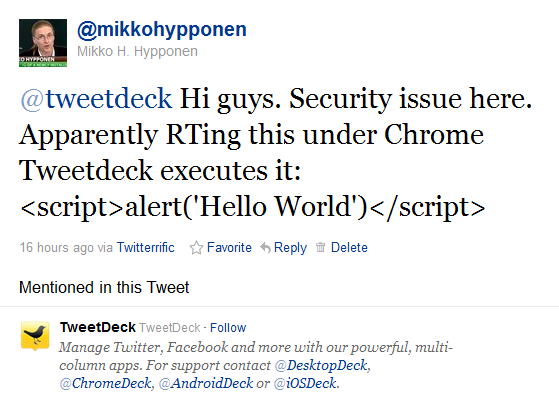 Congrats to Mikko, Robin Jackson and the Tweetdeck (Twitter) guys.